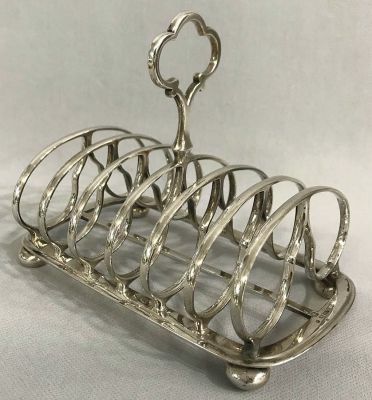 Elkington & Co. silver plate toast rack. Elkington date stamp for 1847, Birmingham, England. 7” by 4”, 5 1/4” high.